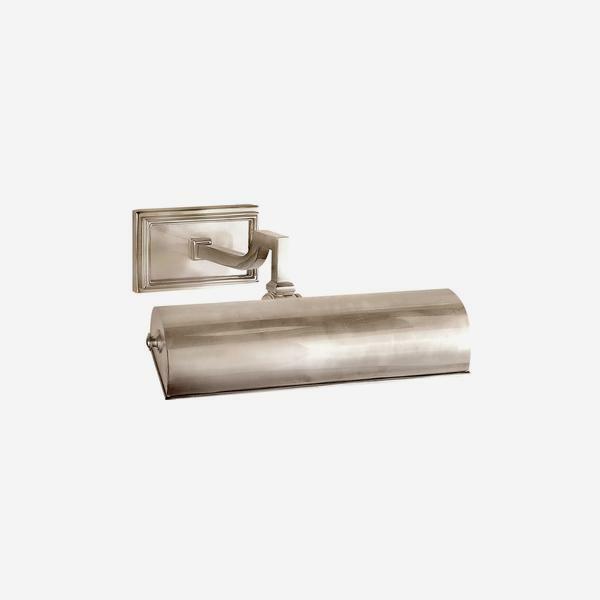 A traditional single picture light in brushed nickel with slick lines and smart detailing. Crafted by high-style designer Alexa Hampton, Dean looks clean and crisp over a photograph or artwork in a library, hallway of living room. Available in two sizes.